Every now and then it's good to walk in someone else's shoes. These Etsy up-cycle artists make the most of old treads. Up-cycled boot leather walks the line at ArtMadeForYou. 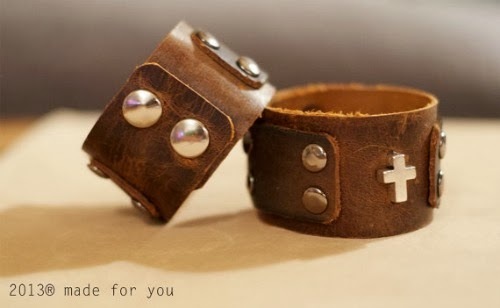 This shop is a top notch stop for all rustic elegance from daily wear to inspirational décor. 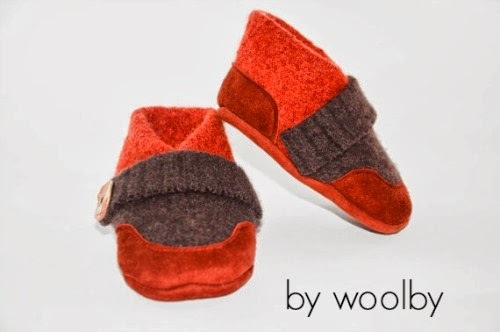 Keep winter toes warm in footwear made from up-cycled suede and sweater wool. With sizes from infants to adults Woolby has you covered. 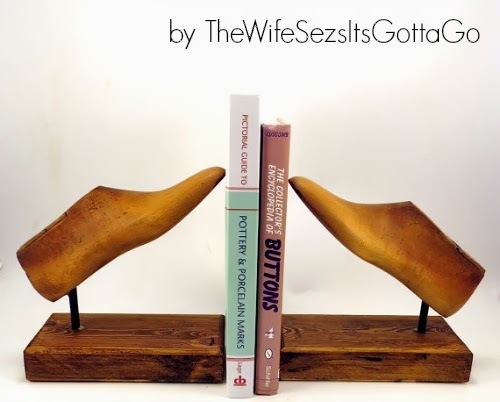 Old wooden shoe forms stand front and center as up-cycled bookends. Check out TheWifeSezsItsGottaGo for more vintage finds from this fresh Etsy shop. 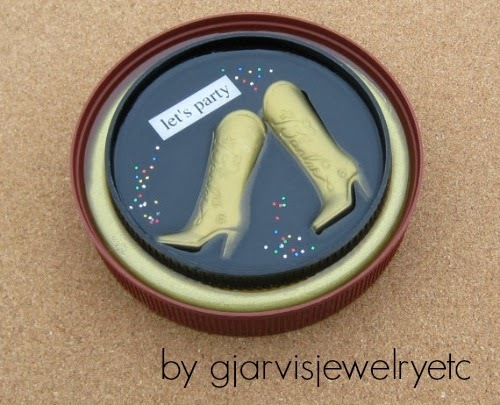 Barbie boots get eternal life in mini recycled art by gjarvisjewelryetc. This Etsy artist uses spare doll parts and bottle caps to create light hearted vignettes sure to bring smiles aplenty. 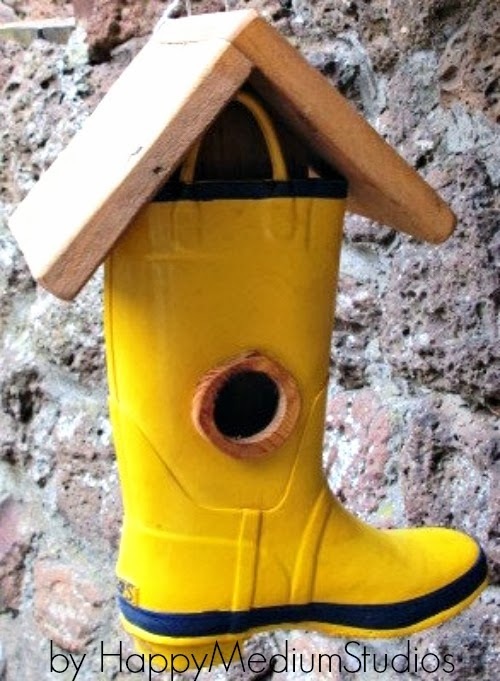 HappyMediumStudios reinvents boots into cozy homes for feathered friends. Swing in to pick up new lodging for the spring garden! For more fabulous shoe related finds search recycled shoe on Etsy.